So I did something a little different today...instead of a traditional subject theme, I ended up going with an author theme. I had been forced to cancel my scheduled storytime visit last week due to a severe cold and sinus infection, and rescheduled for this week, which meant it had been longer than usual between visits. I've noticed when this happens that the kids are more restless and wiggly than usual. On top of that, it's the first week of summer vacation, which has made everyone more wiggly and restless all week. So I knew I needed to choose books that were shorter and particularly fun and engaging, and with this group, that usually means books that are very participatory with lots of movement. I immediately though of Jan Thomas (who is more fun than that?? ), but how to decide on one? I knew Can You Make A Scary Face? was great in storytime, but I was also dying to try out some of the others I haven't used yet. Then I thought, "why just pick one?" and decided to try a whole Jan Thomas storytime! 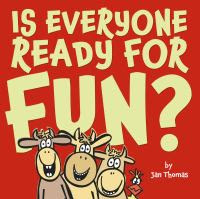 After our welcome song, I explained all of our books today were written by the same person, Jan Thomas, who writes really fun and silly books. Then we sang our "story song" and read the first book, Can You Make A Scary Face? I choose to do this one first because I know it works well, and I liked starting with the up and down and up again, and doing the chicken dance. 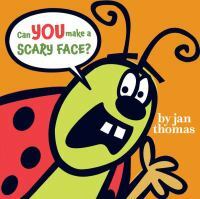 The kids really liked this book and made some great scary faces! After we finished with the book, we did the chicken dance one more time with some recorded music. I choose Is Everyone Ready For FUN? for the second book because it also has a lot of opportunities for movement: jumping, dancing, and wiggling along with the cows on Chicken's sofa, and it ties in with the chicken dance from the previous book. The kids really had fun with all the movements with this book as well; the wiggling seemed to be their favorite, though. They also thought it was cute when they all piled up to nap on the couch, with the biggest cow on bottom and the smaller cows on top, and the chicken on the very top. Since this story featured a chicken, I knew this was a good opportunity to do Laurie Berkner's "I Know A Chicken" with shaker eggs. I've used this song before, and everyone loves it! It has a very catchy tune, and it is a call-and-response type song, where the audience repeats each line after the singer, so it is very easy to sing along with, and lots of fun movements with the shaker eggs. I go straight from home to this daycare, and had not planned far enough ahead to bring the shaker eggs home with me, so my son had to help me scramble and improvise some shaker eggs with the few plastic Easter eggs I managed to find in the attic. I filled them with rice and he taped them closed for me, and they worked just fine in a pinch. 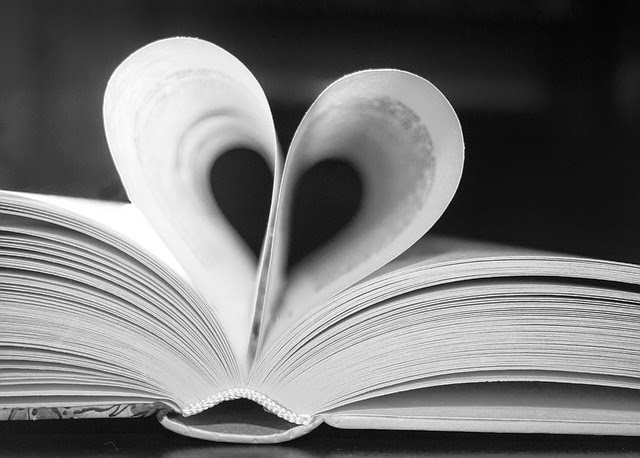 For the last book, I chose something a little quieter, without any movement. 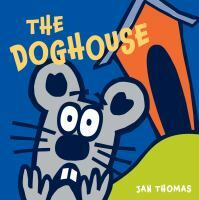 Instead of being silly, The Doghouse is suspenseful, with a surprise ending. Cow, Pig, Duck, and Mouse are happily playing ball outside, until their ball rolls into...the doghouse...oh, the horror! Who will be brave enough to go in the doghouse to retrieve their ball?? One by one, Mouse volunteers each of the other animals to go in after the ball, and one by one, they go in the doghouse. And don't come back out! After Duck disappears, Mouse calls after him to come out. Dog appears and says Duck can't come out because he's having Duck for dinner!! When Mouse finally peeks in he sees all of his friends enjoying a nice dinner party with Dog. Having recorded music reminded them of the last time I used recorded music, which was with our "Dinosaur" theme when we did Laurie Berkner's "We Are The Dinosaurs", and they asked to do that one again. Since I had it handy on my phone, we did that one as well. Then we sang our closing song and passed out stickers. The kids really liked all of the books, but I'd say Can You Make A Scary Face? was the favorite movement story. They really got drawn into the suspense of The Doghouse, and were sure all of the animals had been eaten by the dog. There were several audible gasps when dog said that he was having Duck for dinner! None of them guessed the surprise ending, though they tried to pretend like they did. I think they were hoping for some kind of dramatic rescue, though. As usual, "I Know A Chicken" with the shaker eggs was a big hit. Most enjoyed the "Chicken Dance", but I noticed a few did not participate, though a few couldn't stop, either. I liked doing this theme, since Jan Thomas books are so fun, and great for storytime. They are short, very engaging and interactive, and I really like the brightly colored illustrations with the heavy bold outlines. I think the simplicity and high contrast of this style really helps engage younger kids and hold their attention. I did feel like it was a little bit frenetic, and in retrospect I think it would have been a little better if I had some calmer, quieter activities in between the two books that had so much high-energy movements. But it all went well, that's just one thing I would tweak if I were to do it again.